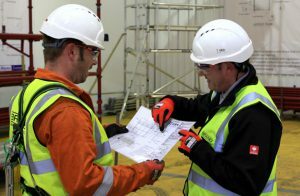 Aluminium Access Products can provide a host of training courses covering all aspects of working at height and health and safety. Here are just some of our most popular training courses we do. We provide courses throughout the UK and in most circumstances are able to provide the training course in house at your venue. Tallescope training provides the user the safe knowledge and procedure when using a Tallescope. This course includes correct operation of moving the Tallescope with a person in the cage. 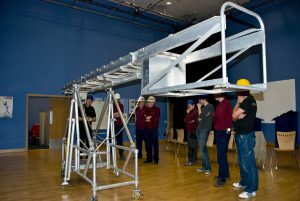 We can also provide Tallescope rescue training in a combined training course. An ID card and certificate valid for 5 years will be issued upon completion of the training course. This is offered via an in house training course or through an accredited course. Both provide users a safe understanding of erection and dismantling of scaffold towers. Upon completion an ID card and certificate valid for 5 years will be issued. 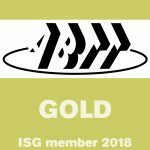 This is offered via an in house training course or through an IPAF training course. 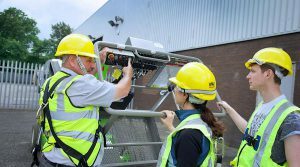 The courses instruct an operator to prepare and operate mobile elevated work platforms. Courses can be for MEWP, scissor lifts or boom lifts categories. A 5 year license and certificate will be issued upon completion. Ladders and steps training courses trains the user safe knowledge and operation of the use of steps and ladders in the workplace. A certificate and ID card is issued upon completion of the training course which is valid for 5 years. The manual handling training course provides an insight into the safe lifting techniques and an awareness into the risks and hazards involved in manual handling. A certificate and ID card valid for 5 years is issued upon completion. Course not listed? These are just some of the training courses we provide. Contact us if you have any enquires relating to your training needs.